In this post, we’re going to cover what affiliate marketing is (and isn’t), what you can accomplish with it, how to find affiliate programs as well as a few additional tips when you’re ready to start using your affiliate links. Let’s get into it. When it comes to affiliate marketing in the world of blogging, that “marketing arrangement” is made between you, “an external website,” and the company, “an online retailer,” that produces/offers the product or service you want to promote. You’re given your very own affiliate link to pass on to your readers to promote that product or service. How Does Affiliate Marketing Differ from Sponsorships? Pat Flynn of Smart Passive Income generates over $60,000 in affiliate revenue every month. He’s even generated over $100,000 in revenue in a single month when a particular brand ran a promotional offer. Abby Lawson of Just a Girl and Her Blog generates over $20,000 in affiliate revenue every month. 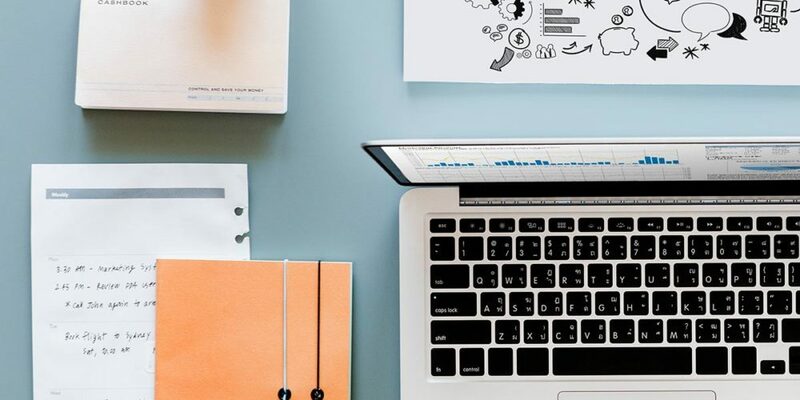 According to a report published in February 2016, which was completed by Forrester Consulting and commissioned by affiliate network Rakuten Marketing, US-based companies will pay affiliates over $6.8 billion in commissions by 2020. Over 1.1 billion consumers use Rakuten Marketing worldwide. 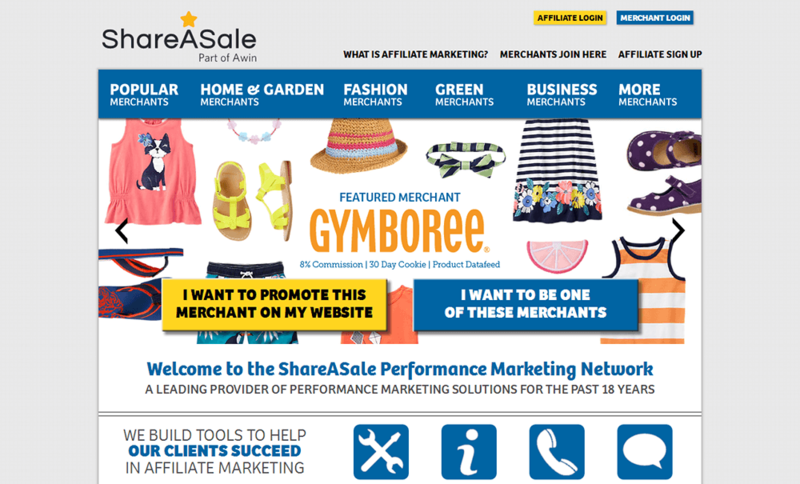 ShareASale, another popular affiliate marketing network, hosts over 3,900 affiliate programs. As you can see, the potential for generating an income through affiliate marketing is undeniable. With that said, let’s go over how you can find your own affiliate programs to use. 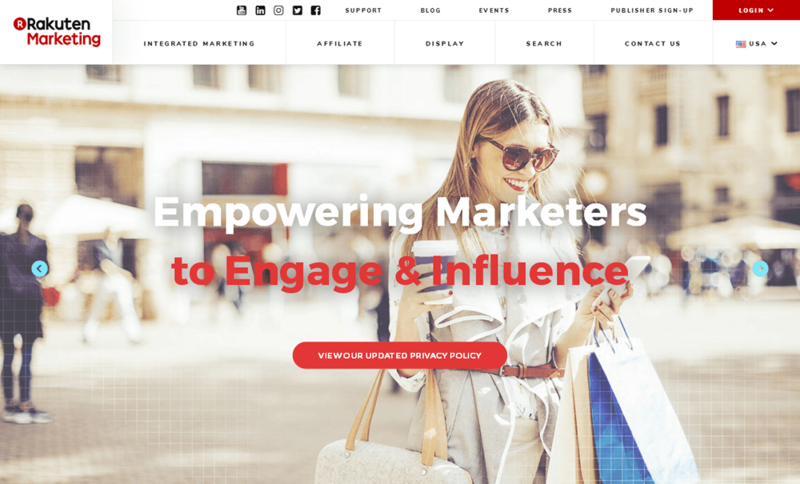 Your ability to generate revenue from your blog through affiliate marketing relies heavily on your relationship with your readers and how trustworthy you appear at first glance. We’ll get into this more later, but we will talk about the impact it should have in the affiliate programs you choose to join. 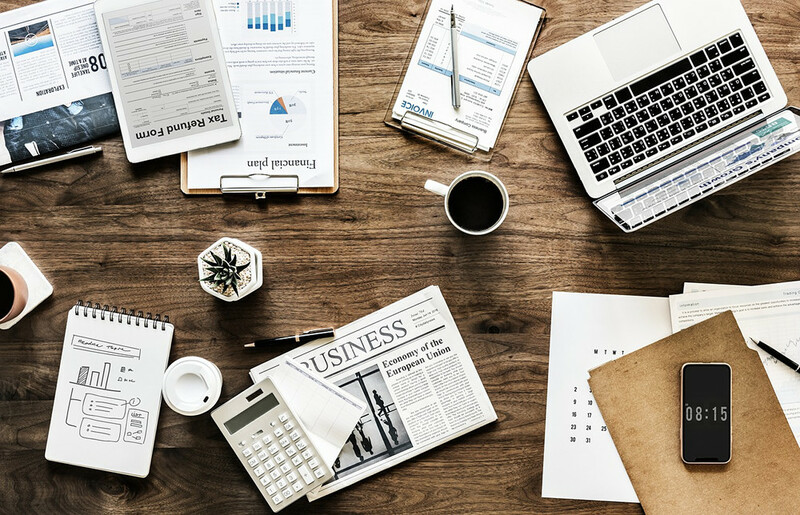 As we often stress in many of our posts about blogging and online business, your content needs to solve problems if want it to generate revenue. Slick marketing tactics do not keep a company in business. A product or service consumers know they can rely on and trust to solve their problems in the long run does. Let’s examine the benefits this program includes as well as a bit of the language Adobe uses so you can gain a better understanding of how these programs work. Here are the benefits Adobe lists on the landing page for its affiliate program. What this is telling you is that Adobe will offer pre-made banner images you can use to place professional ads for the company’s software on your site. 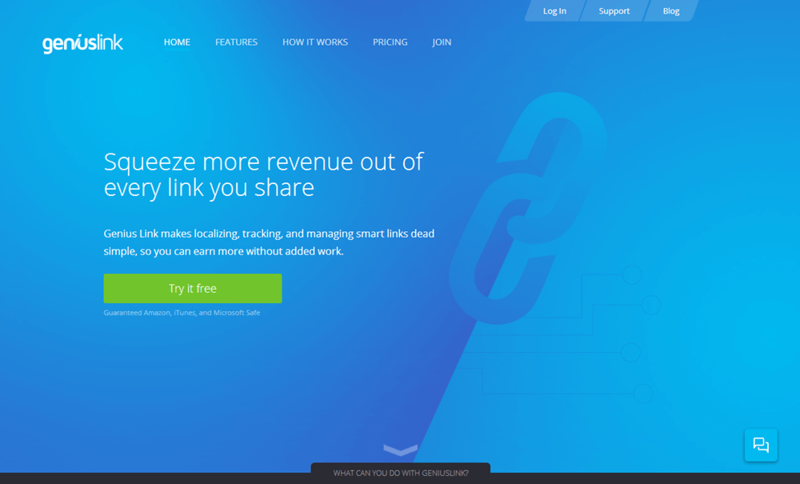 You’ll also have access to promotional affiliate links. This means Adobe will let you know about updates to products and upcoming products before they’re released. This allows you to keep your reader informed while also giving you a way to generate buzz. This is telling you the Adobe affiliate program comes with built-in reports that allow you to see how your affiliate sales are progressing. The commission rates Adobe offers are extremely generous. 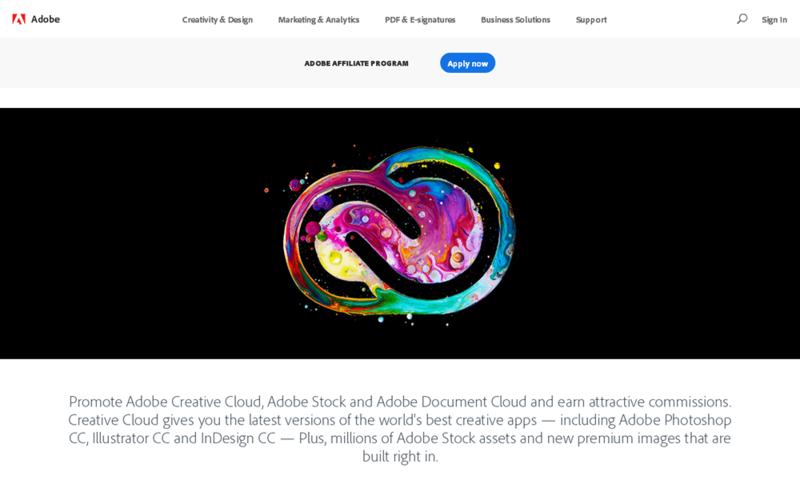 While most companies offer a commission of 30% or lower, Adobe offers a commission rate of 85% of your reader’s first monthly payment of Adobe Creative Cloud. This means you’ll earn 85% of what they pay for their first month. We’re going to talk about two affiliate marketing networks in this section. An affiliate marketing network is a digital space marketers and advertisers can use to connect. Two networks you can use are Rakuten Marketing and ShareASale. They work in different yet similar ways. It’s important to note whether you’re applying for affiliate programs on your own or using an affiliate network, you are subject to rejections. Some companies approve marketers automatically while others process each application manually. Disclaimer: This page contains affiliate links. If you click on one of these links and complete a purchase, I will earn a commission at no additional cost to you. Feel free to edit and build onto this message on your own blog or copy and paste it word for word. When it comes to using affiliate links, try to only provide one option for each problem you’re trying to solve. Beginners may feel overwhelmed at the prospect of having to choose between too many options no matter the niche. This may ultimately lead to them not making a decision at all, which may ultimately lead to fewer affiliate sales for you. A plugin that’s highly similar to Pretty Links, and one we use here at ThemeTrust, is ThirstyAffiliates. 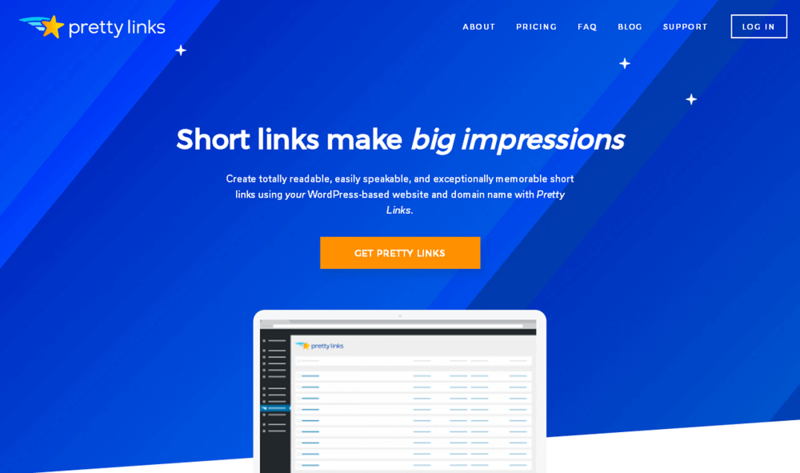 It’s another free WordPress plugin that comes in a premium version, and it offers much of the same features Pretty Links offers. There are subtle differences between the two, but ThirstyAffiliates is slightly cheaper than Pretty Links. Thanks for the info. 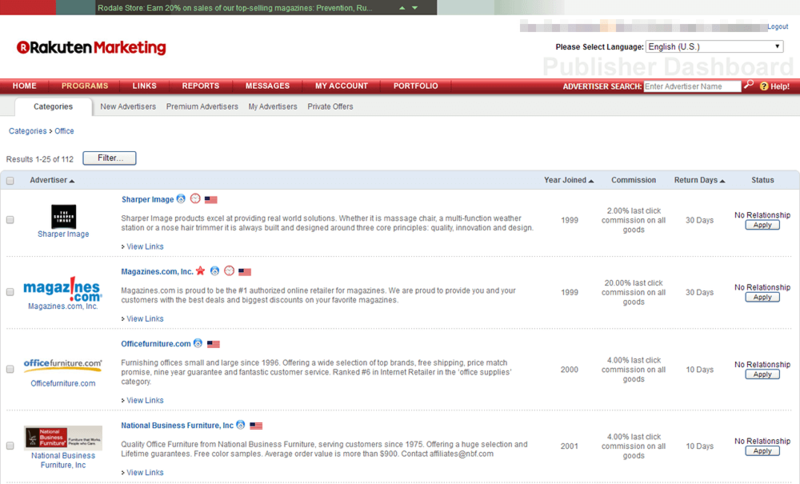 We’ve barely gotten started with our affiliate marketing, but are really enjoying the benefits! This is really helpful in getting us going to the next steps. For those just starting- it takes time to get things going, but passive income is amazing!